It is a well known fact that the most popular diamond cut style of nowadays is the round brilliant cut diamond. But, this wasn’t the case always. You may notice a significant amount of antique jewelry, pieces from the Art Deco period in particular, features the step cut emerald cut diamonds. 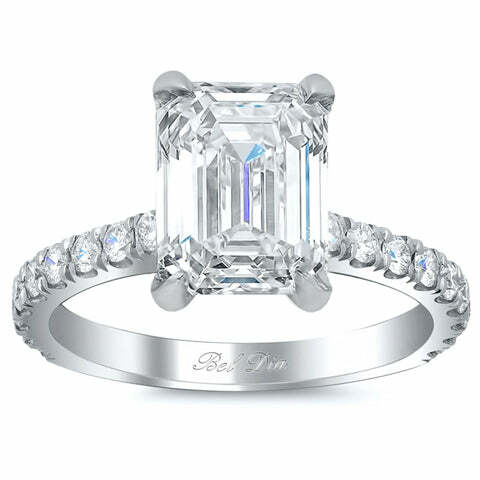 Emerald cut diamond engagement rings are ideal for anyone who may love the classic style found in antique jewelry. There is also a great interest by people today to recapture the beauty of that time period. If you are not familiar with the emerald cut diamonds, the style was originally developed for – you guessed it – green emeralds. Emeralds are not as hard and prone to inclusions which made them difficult to cut without damaging them. So, someone somewhere figured out a “stepped” cut with cropped corners was the best option for them. This cut trend eventually was adopted in cutting diamonds, sapphires and other gem stones and was particularly popular from the 1920’s to the 1940’s. An emerald cut diamond is cut differently than other diamonds. The step cut creates flashes of light that gives it that famous “hall of mirrors” effect. It’s a beautiful illusion of interplay of white and dark planes. Emerald cut diamonds vary from almost square to a narrow rectangular shape. 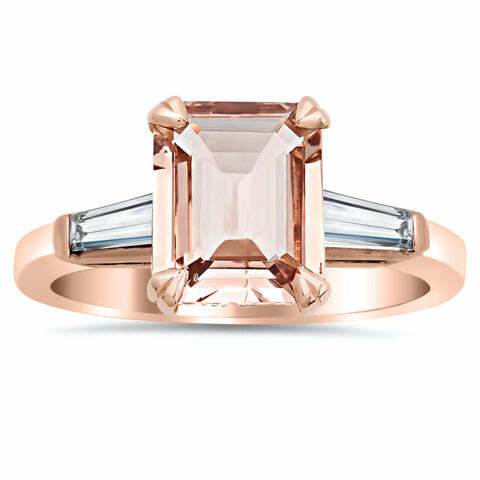 The classic emerald cut diamond has a length to width ratio of 1.50. But, is also a personal preference of your choice. Evaluating the color of the emerald cut diamond is also subjective. Some people prefer a slightly warmer color grades like H – J colors over the cool colors of D-G grades. The customers that want to have D-F color are willing to pay premium price for just that. But in the world without grading, color is very difficult to perceive in this particular cut, so there is no need to overpay. Clarity is more important in this cut, because they are almost see through. I would recommend SI1 and higher. In any case, I would recommend never to buy an emerald cut based on certificate only.